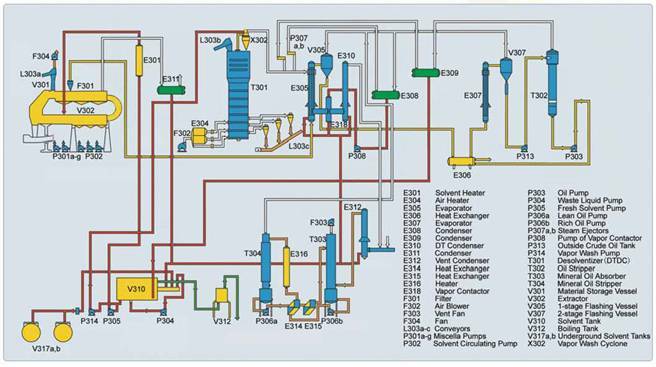 Solvent Extraction, as the name suggests is a process to extract the oil from oil bearing materials by means of Solvent, Solvent used being normal Hexane – a petroleum by-product. 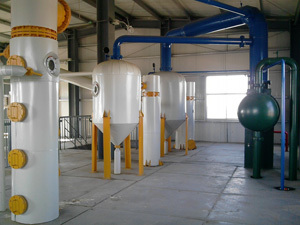 The processing vegetable oil in commercial applications is commonly done by chemical extraction, using solvent extracts, which produces higher yields and is quicker and less expensive. The most common solvent is petroleum-derived hexane. 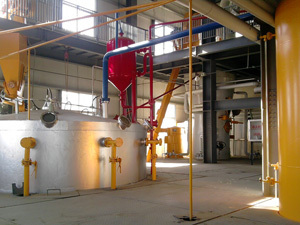 Solvent Extraction Process is used for most of the edible oil pressing factory such as soybean and corn oils. 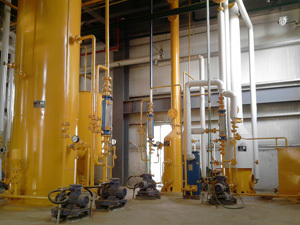 The solvent extraction process is part of vegetable oil processing plant which designed to extract oil directly from oil seed that containing less than 20% oil like soyabean or it extracts oils from prepressed or fully pressed cake of seeds which containing more than 20% oil like sunflower, peanuts, cotton seed, palm kernel, canola, copra, castor and variety of other materials. 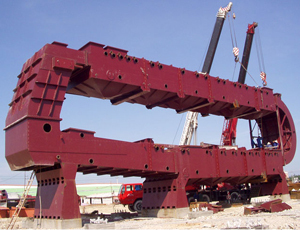 Solvent extraction is to extract the oil from the pretreated materials. The residual after solvent extraction can be less than 1%.We have two designs of the solvent extractor: Rotation Extractor, Loop Extractor to meet the different capacity workshop. The Extractor adopts chain driving system, KMEC loop structure makes the process less power consumption, less maintenance and no loud noise. 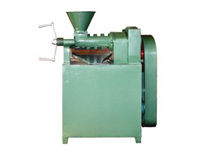 Rotation speed of Loop type Extractor can be adjusted automatically or manually according to input of the different oil seed to ensure that the bin level is stable. This will help to form micro negative pressure in extractor prevent solvent gas escaping out. Process of miscella circulation is improved to reduce solvent use, Solvent residue in meal and increases miscella concentration. 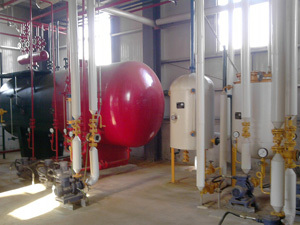 Engery Is saved by reducing the evaporation quantity. In the Extractor, the main vegetable oil extraction way is percolating filtration. 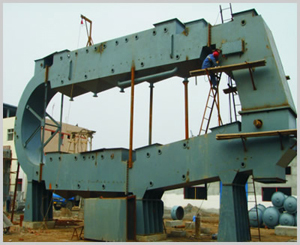 There is once rotation at the bending part to reduce oil extraction corner in the solvent extraction plant. For any further information on solvent extraction, please kindly send your query in the following form.We are always at your service.